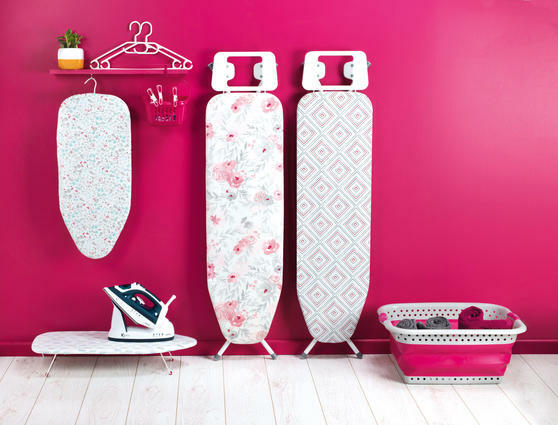 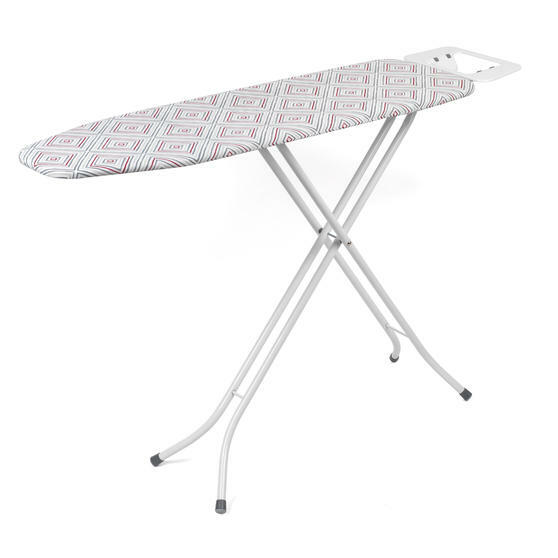 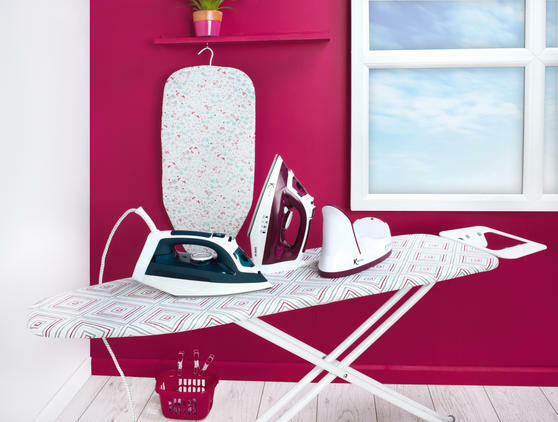 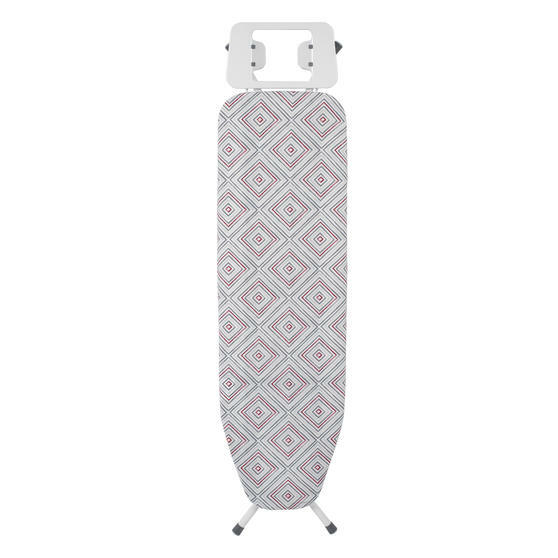 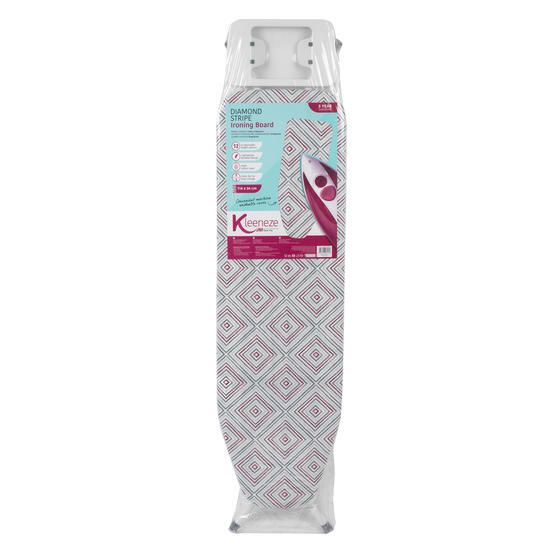 Make light work of your laundry with this wonderful Kleeneze Ironing Board, featuring an iron rest and 12 different height options - adjust the board to an ironing style that suits you best. 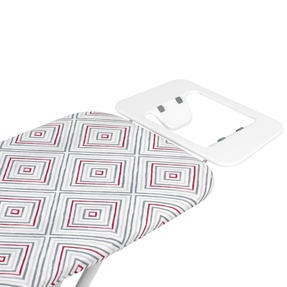 Measuring 141 x 35 x 6 cm with a maximum standing height of 90 cm, iron comfortably and conveniently while the delightfully designed diamond print cover will protect your clothes as you iron. 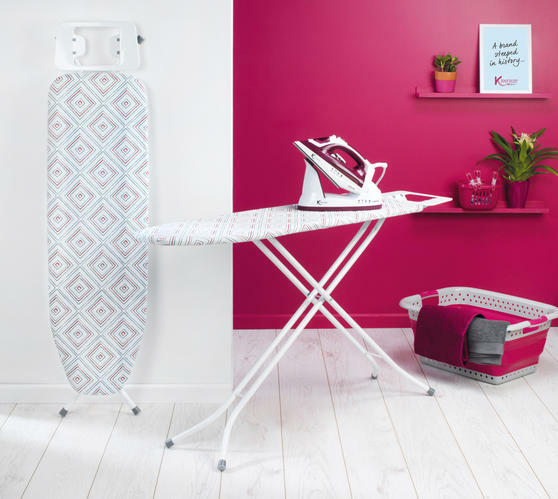 With convenient folding for easy storage the ironing board even features anti-slip foot caps for added safety. Enjoy ironing with this striking Kleeneze ironing board featuring a fantastic colourful diamond striped printed cover. With a maximum height of 90 cm, the board boasts 12 different height options for practical and simple use for all the family. Measuring 141 x 35 x 6 cm, the lightweight board is delightfully easy to move and conveniently folds flat for easy storage. 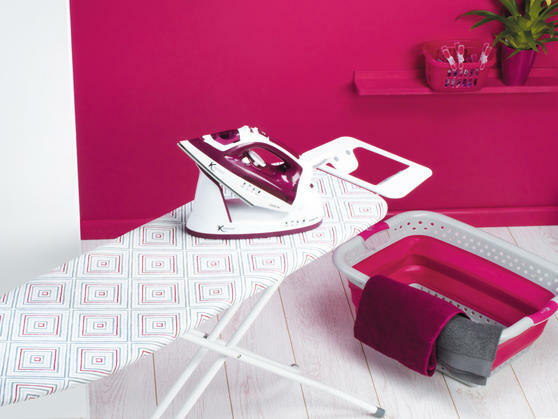 Anti-slip foot caps combined with the convenient iron rest ensure safe and secure ironing designed to prevent trips, slips and damages. 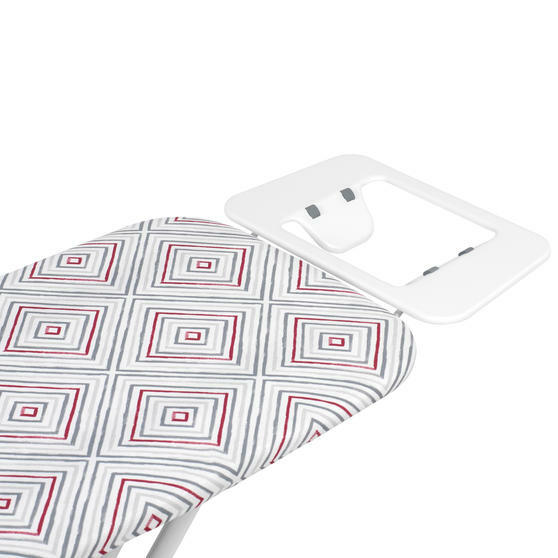 Made from 100% cotton the removable cover is also machine washable, making it easy to keep laundry looking and feeling fresh.